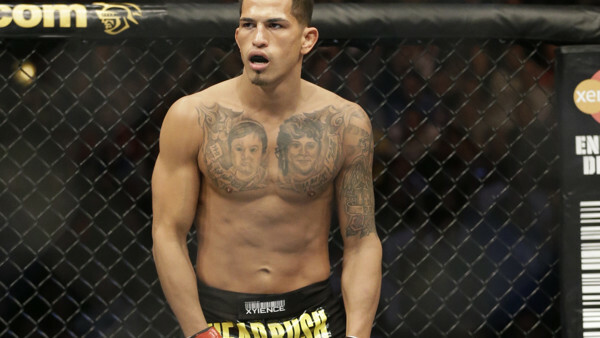 Anthony Pettis shocked the world on Saturday night when he defeated two-time title challenger, Stephen Thompson, via second round knockout with a flush superman punch. The two striking specialists engaged in a competitive, technical battle for a round and half, with Thompson getting the best of most of exchanges on the feet. By the end of the first round, Pettis' nose was bloodied and Thompson looked like he hadn't even been scratched. That changed in the second round as both men turned up their intensity, pushing forward and searching for a highlight reel finish. Although Thompson found some success, his increase in pressure allowed Pettis to counter a kick, by bouncing off the cage and landing the devastating shot that laid Thompson out cold. 'Wonderboy' has now lost two fights on the trot, while Pettis is back in the win column after a loss to Tony Ferguson at UFC 229. Heavyweight contender Curtis Blaydes took a unanimous decision victory over Justin Willis in the main event, but it was a relatively boring, one-sided 15 minute fight. Once Blaydes was able to get the takedown on Willis in the first round, he was able to negate any offense Willis had throughout the remainder of the fight. Although he was able to land a solid right hand on Willis in the second round, this fight was extremely light on action.